Medium is a new way of writing. Bandcamp is a platform for music, easy to listen, download and share. Leanpub a platform to publish e-books. 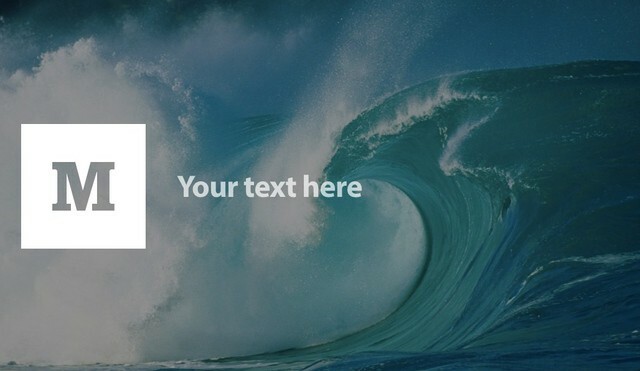 Medium a platform for writers to publish articles. It is probably easier to say what Medium is not. It is not a blog. Writing could not be easier, although it takes a little getting used to. It is intuitive rather than logical. Highlight text, up pops a little box to change to italics, bold, add a link. Easy to embed videos, tweets, pictures. Once posted, others can recommend, can also recommend a related article. I thought not possible to leave comments, as no comment box at the bottom, but I have now learnt it is possible, but in a rather unusual manner. It is done by means of notes. Highlight a piece of text, and leave a note, or a note for the entire article. The writer as writing an article, can make notes, either private notes or public notes. As you are are writing, you can share with others a draft copy, either to obtain insight, or maybe to tidy up, spot the odd typo. Bottom of an article, always a link to another article to read. Readers can also suggest other articles. For non-registered users, the home page has half a dozen articles you may wish to read. For registered users, you register and sign in using twitter. Once logged in, you see a different home page, a different set of articles. As a registered user, you periodically receive e-mails on what you may like to read. A good idea to introduce you to interesting articles you may not otherwise have come across, that if you find interesting, you in turn may wish to share, recommend, link to other related articles. Even if you have no desire to write, you may still wish to register for the weekly digest of articles. If you like an article, click on the profile of the author to see what else they may have written. There are no keywords, which is unusual, instead articles are grouped into collections. One collection is About Medium, helping you get started. The best place to start, is probably Welcome to Medium. Whether anyone reads what has been written, depends entirely upon the writer, but then it has always been thus. I may though be underestimating the effect of collections, recommendations and linking of one article to another. The articles I have come across are typical of what you may find in New Yorker or The Guardian, which may of course not be typical at all, it may simply be indicative of what I have stumbled upon or maybe the way Medium and its various interconnections work. If you do not want the hassle of writing a blog, Medium is ideal for the occasional article. You may have submitted a paper to a journal on an obscure feminist issue. How many will read it? Probably can count on one hand. On the other hand, turn it into an article, and publish on Medium, and more will be able to share your insights. What you post, can have been published elsewhere, in turn, what you post on Medium, can be posted elsewhere. Much of how Medium works is novel. Braden Kowitz has posed a number of questions, Wishes for Medium. By playing around, I had already answered many of the questions he poses. As I have already said, Medium is intuitive. By use of notes, I have been able to answer his questions. Andrew Torba too has posed a number of interesting points, from the viewpoint of both writer and reader, often one and the same, in his Dear Ev letter to Evan Williams and the Medium team. And in the spirit of Medium, some stuff you may wish to read, links to other articles. Why use spotify when there are far better alternatives? Does Speaking Different Languages Give You Different Personalities? You do not learn to write by going on a creative writing course. I can always tell, that plodding, wooden style, the clichés. You learn to write through practice. That is how we hone our skills, be it writing or tennis. Wattpad provides a platform for writers and poets. It also provides feedback from fellow writers and poets. You write and post a book a chapter at a time. Is that not a bit naff? No, it is the way Charles Dickens wrote his books, each chapter eagerly awaited. In the US they were waiting at the dockside for the next instalment to arrive. The internet leads to creativity. Look at the number of blogs. If you want to write a book, turn it into an e-book and put it on frostwire, turn it into an audio book and put it on bandcamp. Margaret Atwood is a strong supporter of both the internet and Wattpad. I got into trouble a while ago for saying that I thought the internet led to increased literacy – people scolded me about the shocking grammar to be found online – but I was talking about fundamentals: quite simply, you can’t use the net unless you can read. Reading and writing, like everything else, improve with practice. And, of course, if there are no young readers and writers, there will shortly be no older ones. Literacy will be dead, and democracy – which many believe goes hand in hand with it – will be dead as well. Allen Lau, co-founder of Wattpad, tells the story of getting a letter from an old man in a village in Africa. The village had no school, no library, no landline, and no books. But it had a mobile phone, and on that they could read and share the Wattpad stories. He was writing to say thank you. Nine-year-old Martha Payne wanted to write. She wrote a highly successful food blog, NeverSeconds. Her local council tried to shut her down, public outcry forced them to back down. Wattpad is not only new writers, classics and modern classics are also there, for example Siddhartha by Hermann Hesse. I dabbled in wattpad and I have to say what I found was badly written rubbish. That is not to say there are not gems hidden in the dross. I dabble in bandcamp, I find loads of rubbish, but I also find music well worth listening to. Writers on wattpad even post videos on youtube promoting their work. For example What He Really Did, which is claimed to be a true story. There are complete novels, chapter by chapter. There are short stories, for example Santiago’s Dream: The prelude in the little church on the mountain by Henry Freeman, a thinly disguised speculation on Paulo Coelho, the P in the story, and the writing of The Alchemist. The disadvantage of wattpad is you are forced to read on-line. But then there is nothing to stop the writer turning into an e-book and posting to frostwire, or an audio book and posting on bandcamp, or even turning it into a hard copy, a real book. I do not like the use of facebook to sign in. Never use facebook to sign in anywhere. Not unless you want a sharing of your personal data. Always explicitly sign in. I find reading within a restricted area of the screen is not very enjoyable. Even worse than reading an e-book. At the end of the day, nothing beats reading a real book. Piracy on the site is widespread. Most if not all Paulo Coelho books are available. Writers write for the love of writing, musicians play for the love of music. If you are doing it for money, you are in the wrong game. If you can earn some money, that is great as you are getting money for doing what you love doing. What do record labels exist for? Neil Gaiman, in an address to the University of the Arts, talking about writing, following your dreams. Brilliant and inspiring talk by Neil Gaiman on writing and following your dreams. Write for the love of writing, not for the love of money. If you write for the love of writing, you will be proud of what you produce. If you write for the love of money you will be bitterly disappointed, and probably will not get paid either. Break the rules, make good art. The old system is breaking down, the gatekeepers are no longer guarding the gate. Use the internet to communicate with the world. The University of the Arts is the first and only university in the US dedicated to the visual, performing and communication arts. Its 2,400 students are enrolled in undergraduate and graduate programs on its campus in the heart of Philadelphia’s Avenue of the Arts. The institution’s roots as a leader in educating creative individuals date back to 1868. When you have held a Montegrappa pen in your hand, no other pen is of interest, including expensive, but mass-produced, pens from Mont Blanc. The only problem is that you dare not take out of the house for fear it will be lost or stolen. Pens range from the simple but stylish and elegant Parola to limited edition works of art like the recently launched The Alchemist pen. Parola is Italian for word. 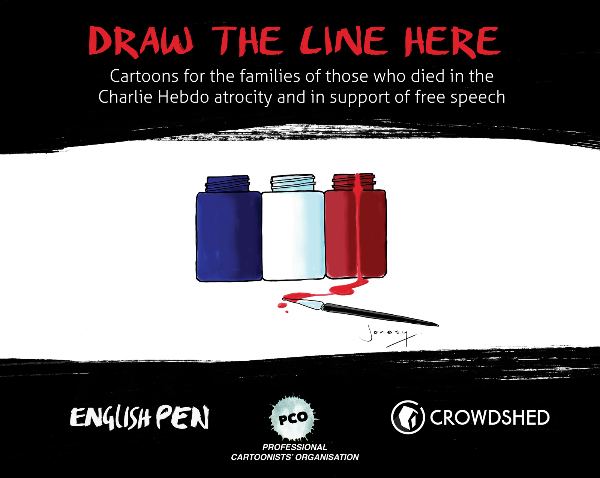 Words, whether spoken or written, have the power to change the world. A Montegrappa pen is slow fashion, a quality handmade writing instrument that you value for life. Following the launch of The Alchemist pen, Montegrappa arranged a guided tour of their factory. First a quick look at the final assembly of limited edition pens, then eat and drink in their showroom where many pens and watches are on display, then a detailed factory tour in small groups of around 20. The basic builing blocks are resins (for entry level pens), celluloid (Montegrappa are the only pen manufacturer to use celluloid as highly unstable and explosive) and precious metals. Both the resins and celluloids are chosen to Montegrappa high specification. Colours and marbling effect are mixed in. The celluloid is kept in ovens for six months to stabilise. Montegrappa combine high tech with hand craftsmanship. Lathes and milling machines are used, scanning microscopes to check the final product. Each cap on The Alchemist pen is individually engraved by a master engraver, thus each pen unique. The metal parts are sand ground to remove any burs and sharp edges. Then polished in a machine. The resin and celluloid are also polished in a machine. Celluloid is used as it has a very natural feel. But such is the quality of the resin used and the polish, that even the entry level resin pens have that natural feel. For the fountain pen, a graphite feeder is used. Inside the pens, a barrel with a piston, which is used to draw up the ink. The only component not made by Montegrappa is the nib. This is made by a third party party to a Montegrappa specification. A gold nib is not for show. Gold is soft and writes better. Steel is hard and scratches the paper. Around 40 component parts to each pen. Each pen is individually tested by being used to write. It then has to be washed to remove the ink. A laboratory carries out random tests for quality control. A few pens are tested to destruction, for example the clip repeatedly stressed for metal fatigue. The lab also tests incoming materials for quality control. Do not keep a Montegrappa pen in the pocket. Like wine, it should be stored in a horizontal position. Special thanks to our guide who took a great pride in the workmanship at Montegrappa. John Stott (1921-2011), curate, rector, Rector Emeritus at All Souls Church, Langham Place, a prolific writer, recently died at the age of 90. There are those – Paulo Coelho, Philip Yancey, Canon Andrew White, William Young, Rob Bell, Bishop Michael Baughen – who can write, whose writing is a joy to read. John Stott may be counted among this select group. John Stott lived in a small flat by his church. It was here that he wrote. The money he made from his writing he used to finance scholarships for students to study theology. In the spring I read Why I am a Christian, which I borrowed from a lovely Scandinavian church in Puerto de la Cruz. 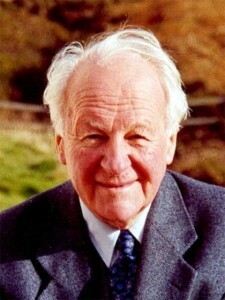 It is a fascinating and highly readable account of why John Stott was a Christian. A couple of weeks ago Last Word on BBC Radio 4 had a lovely account of his life and work. I was in Waterstone’s bookshop in Guildford yesterday. Behind the counter was chalked up on a big board latest releases. No mention of Aleph by Paulo Coelho due out in September. Curious as to this noticeable ommission, I asked. The staffer behinder the counter looked at me blankly. He must be an unknown author, I was told, or not very popular. Unknown author! Not very popular! I explained that since publication of O Aleph in Brazil last summer, publication in English was eagerly awaited, that in the first six countries of publication it had jumped straight to No One. 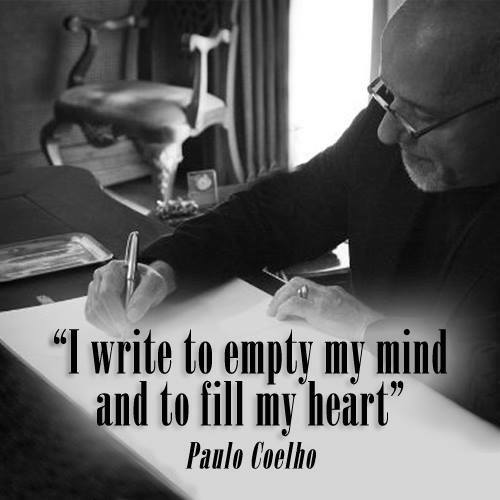 I added that Paulo Coelho had over 2 million followers on twitter, more than five million on facebook! I could have added that The Alechemist had been in the New York Times best seller list for a continuous 188 weeks. Not bad for a book that was published over twenty years ago! It will probably come as a surprise to readers in Latin America, Middle East or Europe, especially Eastern Europe and Russia, that Paulo Coelho is not well known in England. I once put this to the test. I asked a friend in Cyprus, receptionist at a hotel, did she know who Paulo Coelho was? Of course I do, she replied, in a tone that implied I was questioning her intelligence. When I explained why I had asked, that he was not well known in England, she did not believe me. We then asked guests at the hotel. None of the English knew who he was, all the others did! Not that this can be any excuse in a bookshop. It is not that I expect the staff to know every single writer, I do not, but in this case Waterstone’s was running a promotion of a free trip on the Trans-Siberian Railway to coincide with publication of Aleph on 1 September 2011. Not that anyone walking into Waterstone’s would know this as no mention in the store, or at least not obvious. The irony was that the only reason I was in Waterstone’s was to obtain a Waterstone’s card as it was required to participate in this promotion. If bookshops are to compete with on-line retailers they need two things: Physical presence off books, to handle and look at. Staff that actually know about writers and their books. Waterstone’s Guildford used to have staff with who one could chat about books, but then it was Ottakar’s flagship store. Against strong public opposition the Ottakar’s chain founded by James Heneage was taken over by Waterstone’s. Staff who chatted with customers were told off! Earlier in the week, James Daunt, boss of Waterstone’s said the stores were in much need of improvement. Not a truer word said. Top story The Writer’s Cafe Daily Friday 19 August 2011. Yesterday I made a deposit in the Favour Bank. The Favour Bank is the world’s oldest and most powerful bank. It knows no frontiers. Its clients are rich and poor, Black and White, straight and gay, Muslim and Christian, warmongers and peacemakers, dreamers and realists. All are welcome through its doors. I meet and help an aspiring writer. I connect his books with people who if they read and like I know they will do the same. I arrange that he is invited to a book festival. Good writers are known not by marketing hype but by word of mouth. Investment banking is a risky business. My aspiring writer may achieve his dreams. If he succeeds he may forget how he got there. He may think it was the least he deserved. He may forget or even refuse his payments to the Favour Bank. But should he be so foolish he will find his credit vanishes overnight. Yesterday I met a beautiful Black girl. We got chatting. She was curious of the book I had, The Zahir, as she had never come across the author Paulo Coelho. I explained who he was, told her a little of The Zahir. I must find and read it she said. To her great pleasure and surprise I gave her my copy of The Zahir. I said if she got in touch I would also give her a copy of The Alchemist. Had I thought of it I would have invited her to join me for lunch today, but I did not think of it until later. Yesterday I repaid a favour to the Favour Bank.